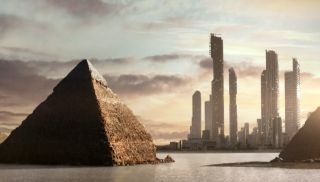 Odds are you've already made up your mind about whether Sid Meier's Civilization: Beyond Earth is something you want to sink hundreds of hours of your life into. But if you're on the fence, this lengthy gameplay video recorded during the August 21 Firaxis livestream might prove helpful. Listening to Pete Murray and David McDonough of Firaxis discuss the value of the tectonic scanner isn't the most action-packed experience ever, but it is informative, particularly with regard to the early stages of the game. That's the focus this time around, as Murray explained in a recent forum post . "We'll go over how you build your colony to settle on the planet, going over the abilities of the sponsors, colonists, cargo and spacecraft," he wrote. "In detail. Hypothetical builds will be put together." It's 55 minutes in length, and even though the first half-hour is little more than conversation laid over selection screens, it's a great place to start for anyone looking to get a leg up. This is actually the second such livestream—the first, a look at the differences between Civilization V's barbarians and Beyond Earth's aliens, is available here —and a third stream is scheduled for August 28 at 11 am EDT on Twitch .